It’s a name you haven’t heard much of lately, a tale that was quietly murmured in taverns far and wide until it was lost to time. Sea of Thieves was set to be an all new online experience and a boon to the lacking exclusive list of Microsoft. Unfortunately, its launch left something to be desired and only the truly passionate swashbucklers stuck around. You may have forgotten about Sea of Thieves or saw it as another failed attempt for Xbox, but the steady flow of new and exciting content for the game has made it exponentially more fun. With Sea of Thieves coming up to its anniversary, we had the opportunity to sit down and chat with Joe Neate and Shelley Preston about how the game has evolved and where it has to go in the future. Check it out below! Sea of Thieves is a massive, online shared world out on the open seas where pirates, swashbucklers, and brigands aplenty will join forces to become the richest scalawags ever to set sail. Played in the first person with delightful Pixar-esque charm, you’ll man the cannons, follow treasure maps, battle skeletons and other players, steal booty, and so much more. While the games initial launch version was lacking in content it still proved to be a great source of entertainment for a group of good friends. 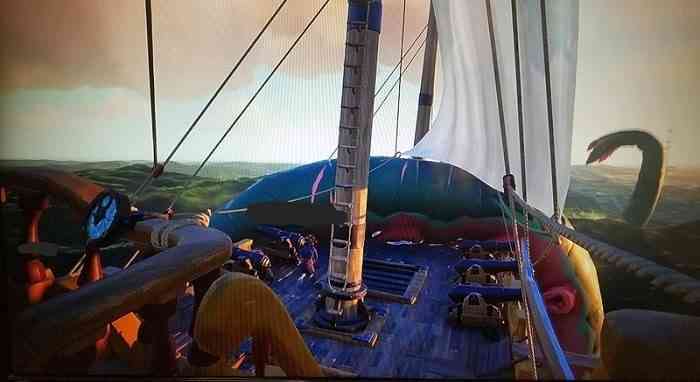 Since its release, Sea of Thieves has had a number of hefty updates which have gone on to add an incredible amount of content ranging from new enemies, features, skills, and more. They just might be making a comeback into the limelight after all this time and it wouldn’t be surprising if this once again became a household name. Are you one of the players who has stuck it out with Sea of Thieves? Are you thinking about jumping in? Let us know your thoughts on Facebook, Twitter, or the Comments section below. Sea of Thieves is available now on PC and Xbox One, for more information check out the game’s official website.